Wealth of an extensive experience from 10 years old organizing stallion shows, Cheval Grand Est starts for 2017, Caval’Est: an international festival dedicated to Horses and their breeding. Starting point from this festival: the stallion show! Real place-to-be, it’s one of the step of the «Stallions Tour de France». 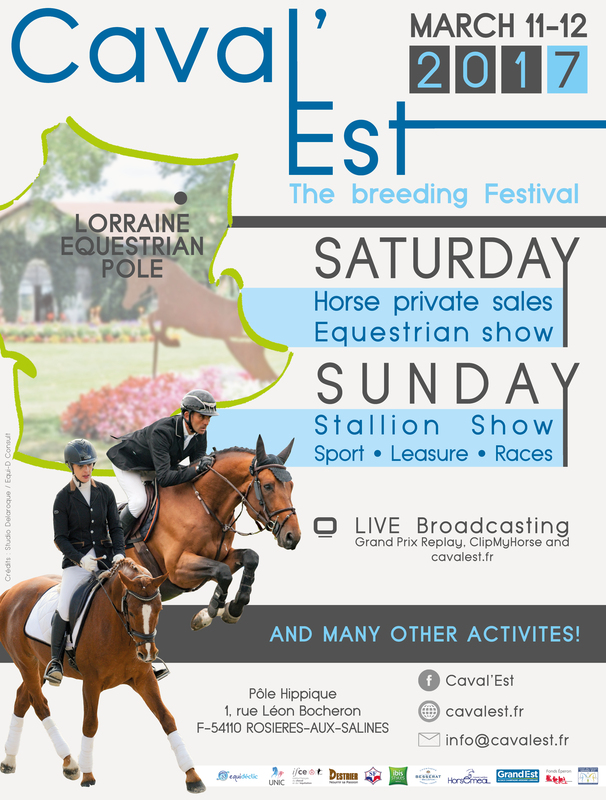 Organized on March 11th and 12th, Caval’Est will gather breeders, riders or simple passionates behind a common passion. 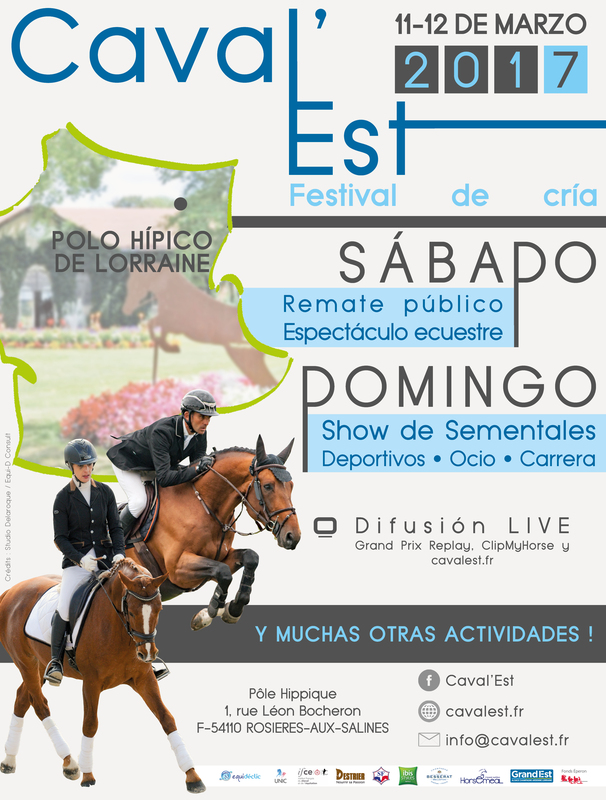 Visbility and economic benefits will be assured thanks to the equestrian show, the friendly horse sales, formations and especially thanks to your stallions, highlight of the show! With a maximum of 70 stallions, the visibility of each one will be assured. They'll be presented whether in hand or ridden (flat or jumping). Many animations will be led during the week-end. The stallion show will be broadcasted live both on ClipMyHorse and Grand Prix.